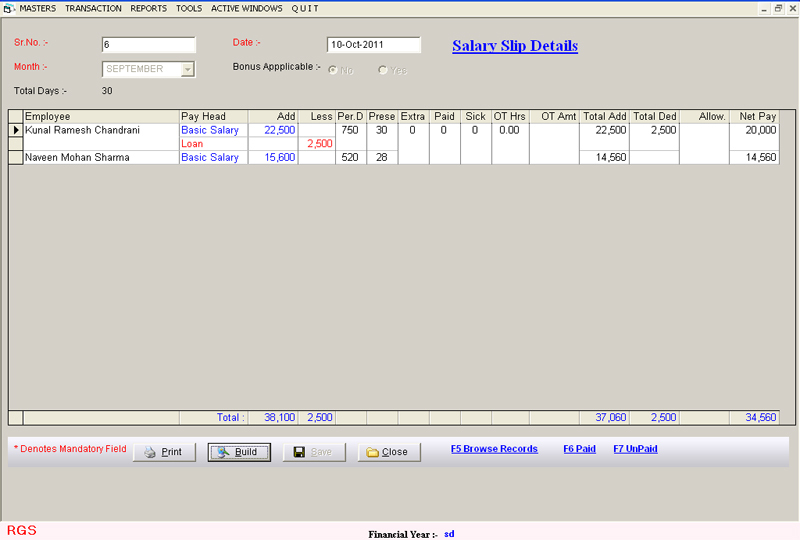 The Auto Payroll Software Manages the Administration Department of the Company The Web Based Payroll Management Software or On line tracks the Attendance Records, Salary details, Holidays, Leaves and Extra work of an Each Employee in the Organization. 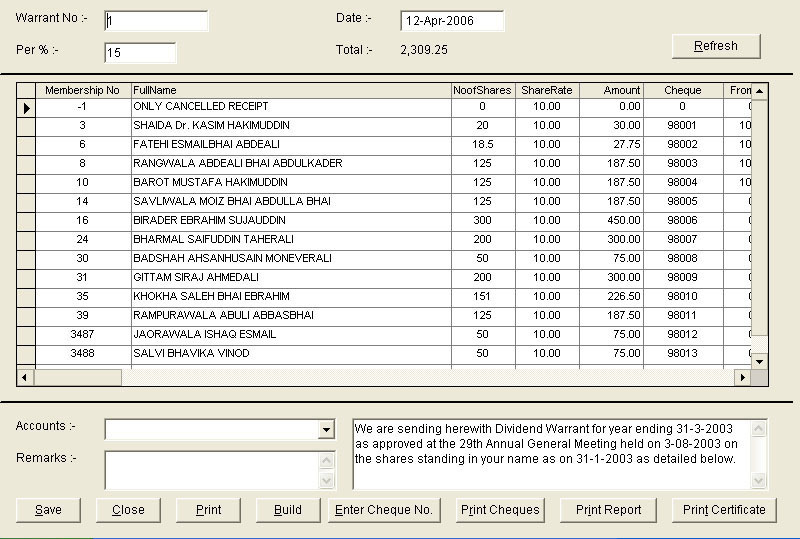 The Currency of the Payroll Software Management is in Indian ruppes but can do with other currencies. 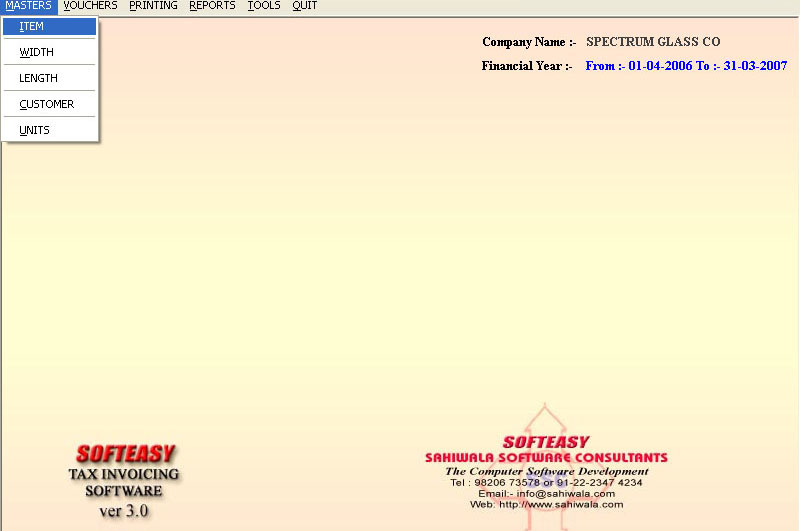 The Employee Payroll Software is an Auto software also be called auto Payslip software which calculated every aspect of monetary transaction which is well defined in the master of an employee. 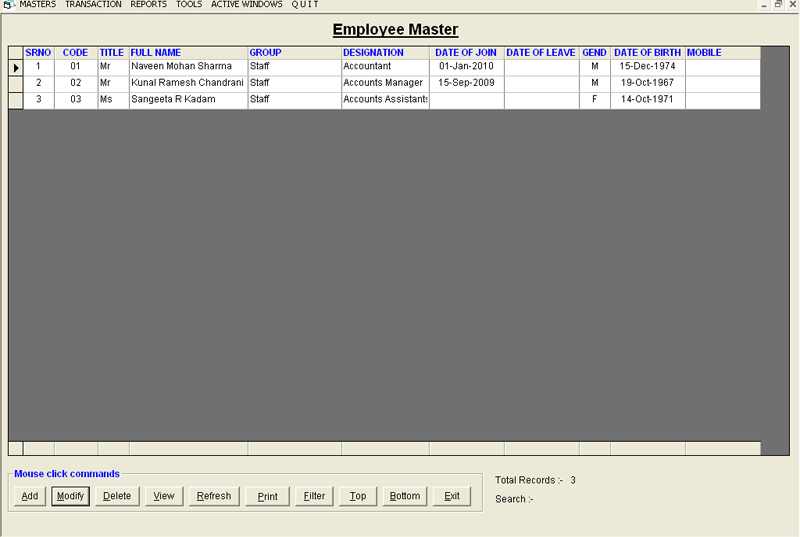 The Desktop Based Payroll Software automatically calculates the salary from the masters, deductions of any leave from his attendance register. 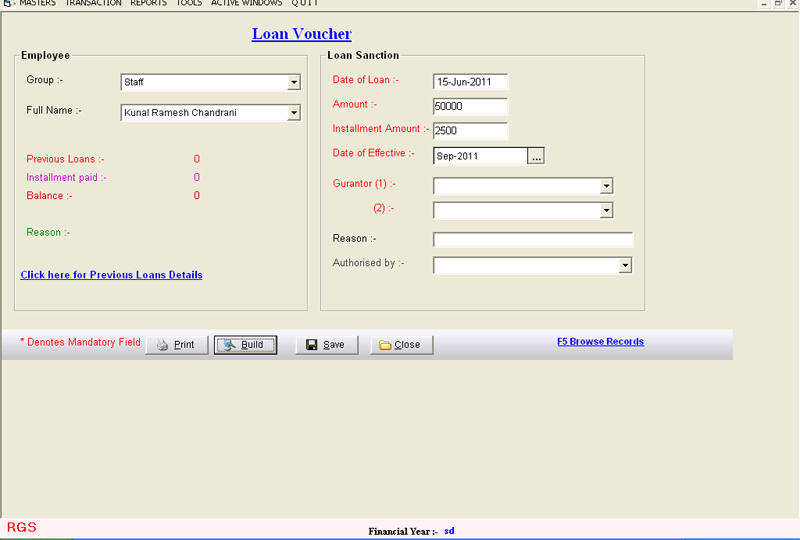 Before making the salary slip first make attendance entry for every employee.In masters of employees u will see bank accounts, name and address,this is useful for making payment through NEFT Banking on line payment. 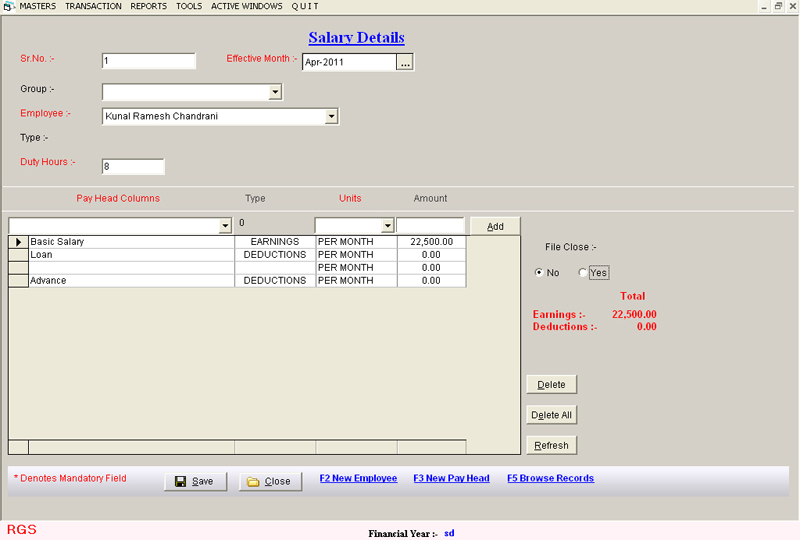 OT hrs is calculated per hour as against his Basic Salary in the employee payroll software. 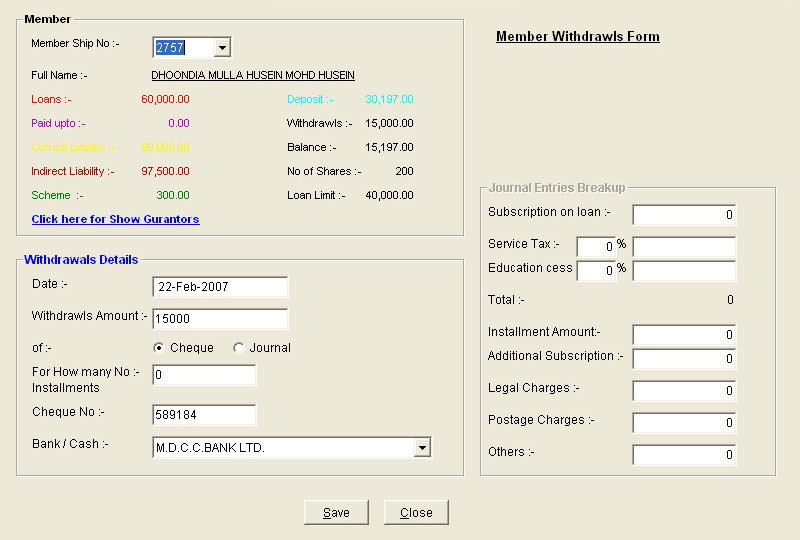 The Loan Entry of Payroll software is simple, just define the loan master and define the installment amount it will automatically deducted per month.In Masters there is OT Rate and under it has effective date, if u mention any employees name and mention any amt OT per day, it will automatically calculate OT Amount while making attendance. 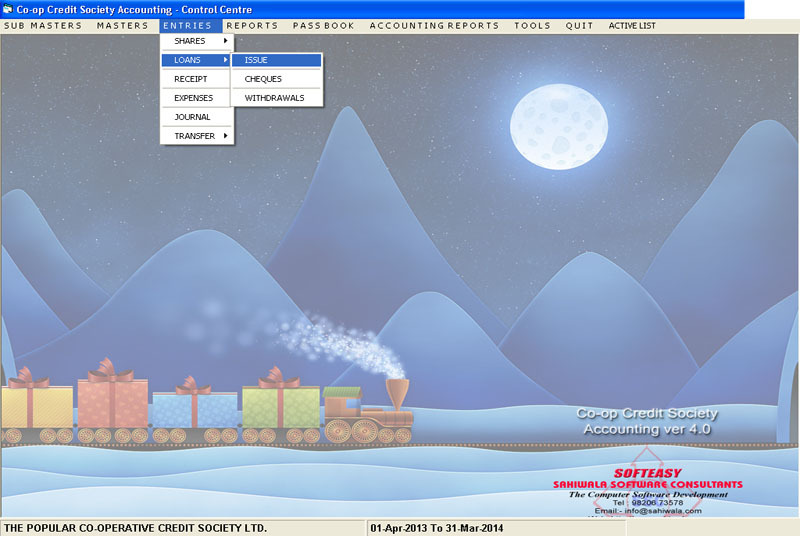 Extra days means like SUNDAYS & BANK HOLIDAYS worked on those days. 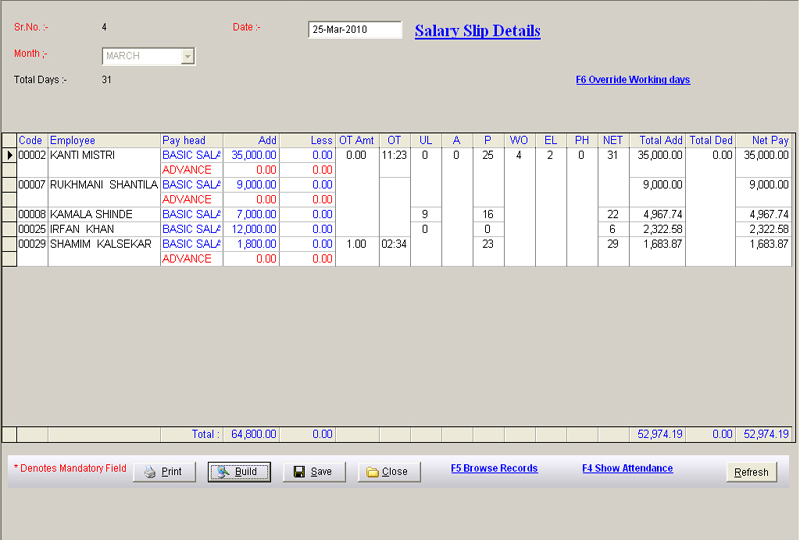 Extra days and OT days are different. 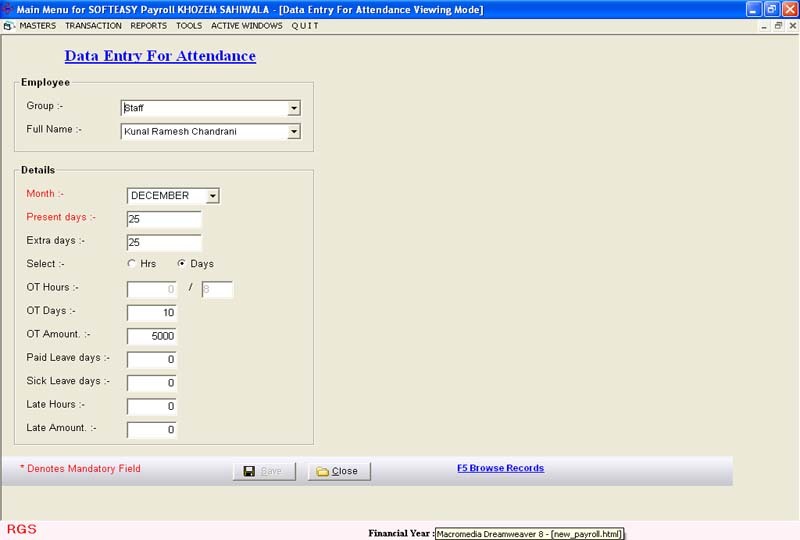 Extra days are calculated as per his attendance and OT rate is calculated as per defined OT rate masters or not then as per his attandance register. 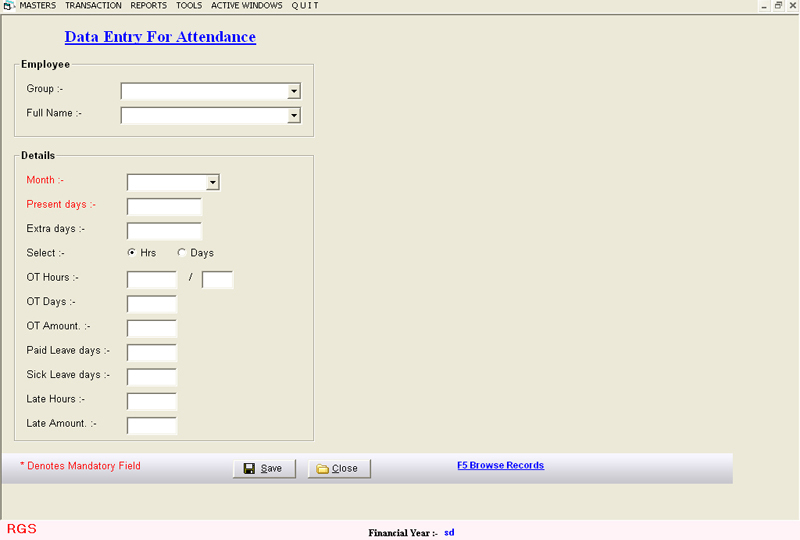 Sick Leave Days & Paid Leave Days is extra and it is calculated as per the days present in attendance register. 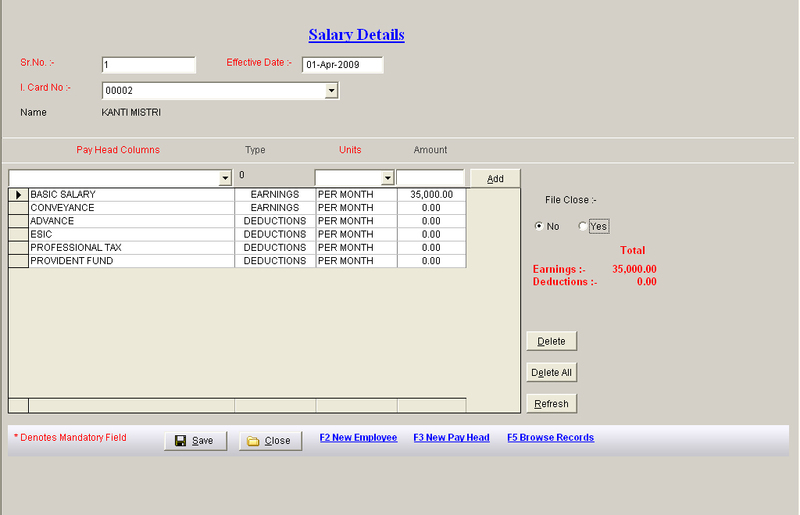 We can customized payroll software as per your requirements. 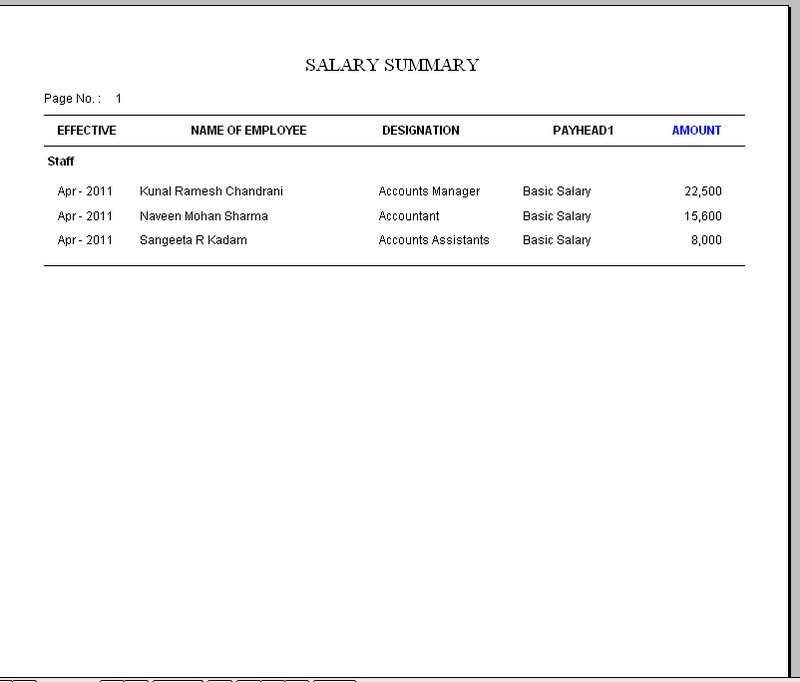 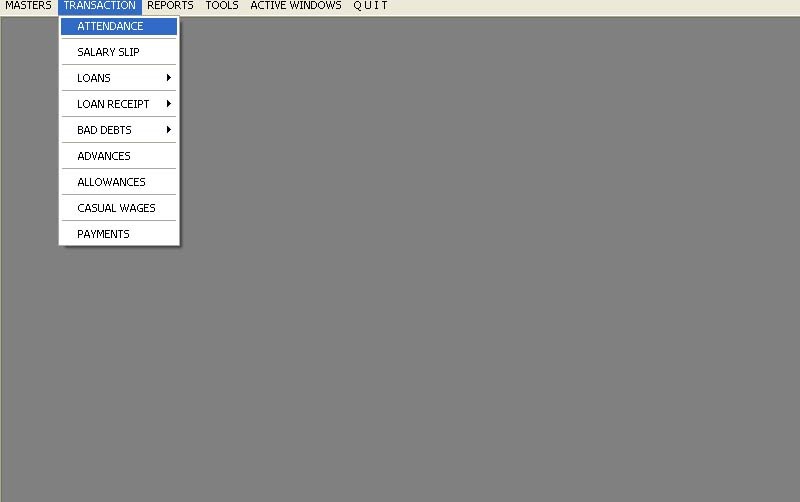 Payroll Attendance Employee Software Salary Details Screen.